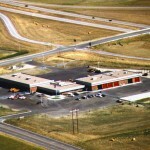 Malone Belton Abel’s 1995 design for a Wyoming Department of Transportation office has proved so successful that WYDOT has used it as the prototype for their buildings elsewhere in the state. 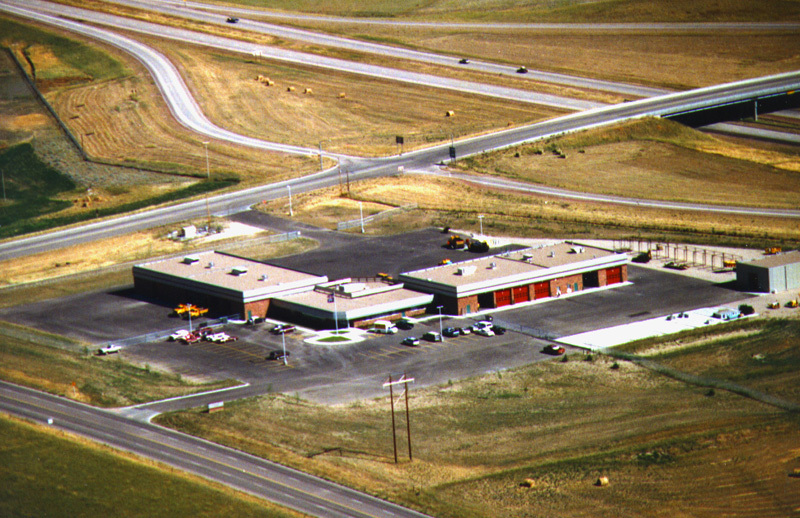 The complex brings all the diverse aspects of the highway department together in a coherent and efficient facility. The 40,000 SF main building has two distinct functions: office space for some 40 people and garage and maintenance bays for vehicles. 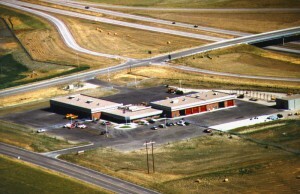 WYDOT engineers and maintenance staff, drivers’ license personnel and the highway patrol work in the center of the building. There are crew day rooms, engineering rooms, locker rooms and a small soils lab. Wings on either side of the building house the vehicles: patrol cars, light trucks, large sanding trucks, plows and graders, and the shops and tools they require; two wash bays large enough for the Department’s largest road maintenance equipment; complete repair bay with rolling hoist; and storage mezzanines. The site gives easy access to the Interstate and other major highways in the area. Two entrances to the complex separate heavy truck traffic from the general public and employee parking.